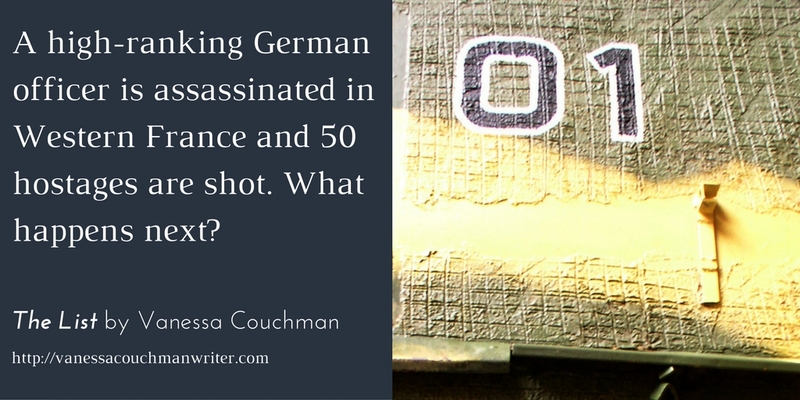 This week, I’m publishing a short extract from my story, ‘The List’, which is set in occupied France. It’s part of the anthology entitled Pearl Harbor and More: Stories of WWII – December 1941, published by eight authors of wartime fiction. The short stories are set in locations around the world and commemorate the Battle of Pearl Harbor, which took place 75 years ago on 7th December. ‘The List’ is loosely based on the events that followed the assassination of the Feldkommandant (German military commander) of Nantes, Lieutenant-Colonel Karl Hotz, on 20th October 1941. Resistance attacks on the German Occupation forces in France intensified following the German invasion of Russia in June 1941 and the reprisals became increasingly severe and repressive. I have set ‘The List’ in December 1941 and have taken various other liberties with the facts to fit the story. All the characters and place names are fictitious. Fifty more will be executed if the killers are not handed over. Jewish communist Joseph Mazelier is on the list. Will Countess Ida agree to help him escape? Ida strained to understand. Why Mazelier? He could be brusque and didn’t hide his attachment to communism, but he was harmless enough. And who were the other forty-nine? How had they chosen them? The newspaper had hinted at possible further reprisals if the killers weren’t handed over, so now it was a certainty. All those lives to pay for the loss of one. In a flash she recalled a painting of the weighing of souls she had seen in a Tuscan church when she sang in Italy many years ago. The irony was that the sinful souls were heavier and tumbled down to Hell. She shook her head and returned to cold reality. No doubt the assassins were far away by now, so there was little chance of their being captured in time. “There’s something else,” Lucie said. “Something nobody knows. We’ve managed to keep it hidden up till now, but if anyone found out…” Her voice trailed off and she pressed her knuckles to her lips. Ida leant forward. Lucie raised her eyes and Ida could see the dread stamped on her face. Ida passed a hand across her eyes. That made Joseph Mazelier Jewish, too. I am planning to expand ‘The List’ into a full-length novel, so watch this space. 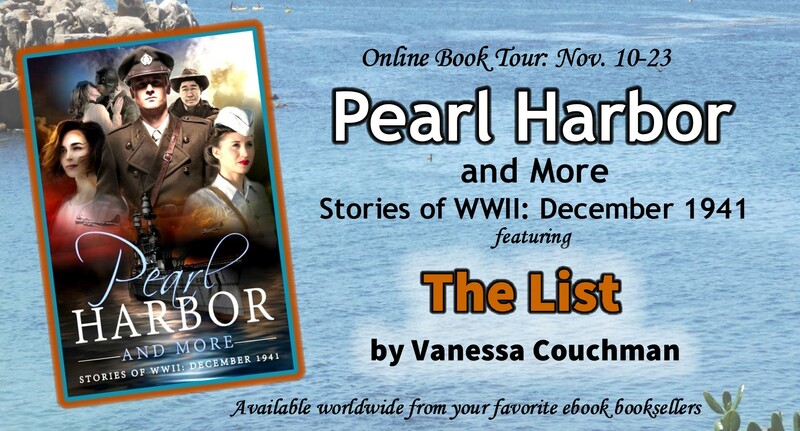 This entry was posted in Historical Fiction, Short stories and tagged anthology, historical fiction, Pearl Harbor, Pearl Harbor 75th anniversary, Pearl Harbor and More, The List short story, World War II by nessafrance. Bookmark the permalink. This was an amazing story. Both it, and the anthology, are so worth reading. Thanks very much, Christine. I’m so pleased you enjoyed it.